Adding an aromatherapy component to spa therapies amplifies healing potential. Aromas have the ability to relieve stress, soothe, energize and relax. The essential oil within a scent begins its remedial journey as a plant extract and transforms into an integral component of a spa experience, the ideal destination for relaxation. 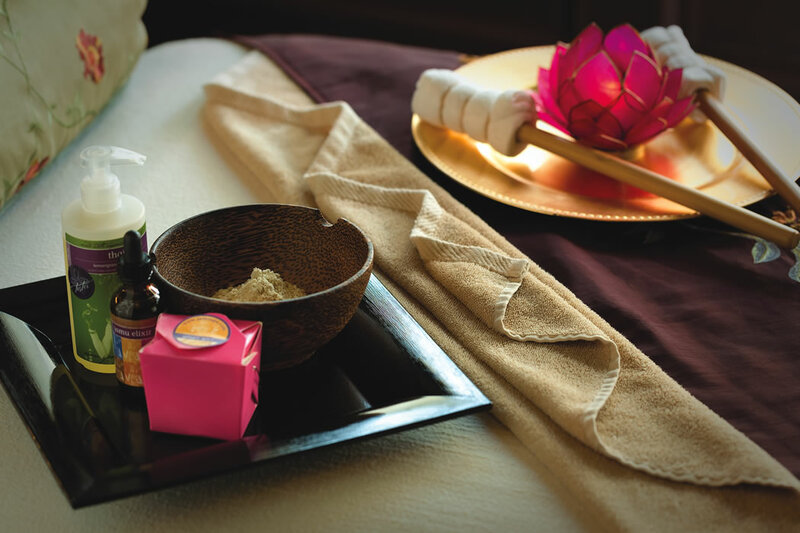 Spa treatments are laced with scent elements, crafting a therapeutic use of pure botanical essential oils. Such use has a documented history dating back at least 6,000 years, when ancient cultures realized the powerful effect offered by specific aromatic plant extracts. In the 1920s, French chemist René-Maurice Gattefossé began a systemic exploration of the effects of essential oils on health and wellness. Today’s spa-goers can reap the benefits of ancient tradition and modern research through aromatherapy. At-home products are also infused with fragrances to continue the relaxation outside of the spa. McNees explains that scented blankets, neck pillows and eye masks can incorporate stress management into everyday life. “Scents are personal and are closely tied to memory,” she adds. While the exact connection linking scent with memory and emotion is a topic of ongoing study, many researchers believe that scent receptors in the nose network directly with areas of the brain that warehouse our emotions and memories, influencing our mood and well-being. “When used correctly, scents can provide the benefit of adding an additional sensory touch point with smell,” McNees says. A whiff of fresh lemon blossoms might summon visions of vacations spent wandering through citrus groves near the Amalfi Coast in Italy, as the power of aromatherapy can transport an individual to a different time. Indulge in scent-infused treatments at The Spa and Salon at Sea Island to relax and rejuvenate. A consultation with a spa therapist to design your own herbal remedy precedes this aromatherapy experience. Beginning with a salted body polish to deep cleanse, a shower with natural fruit acids encourages circulation while hints of spices, flowers and herbs fill the air. A warm bath induces relaxation, and is followed by a massage to quiet the mind. The retreat concludes with a wrap of rich shea butter crème infused with green tea and sage. The journey starts with a customized scented herbal blend used in a full-body exfoliation, followed by a shea butter and fruit acid moisturizing shower. Finally, a massage with warm bamboo stalks relaxes muscles and guests receive a special Sea Island gift. Previous articleWelcome to Sea Island and to the latest issue of Sea Island Life!